Mr. Day received his Bachelor's Degree from the University of Florida and his law degree from Nova University. 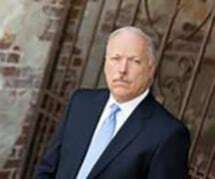 He has been practicing law for over 25 years; handling complex criminal cases in State and Federal Courts throughout Florida. Additionally, he has handled Criminal Appeals at the State level and before the United States Supreme Court. He is admitted to practice in all Florida Courts, the Federal Middle District Court, the Eleventh Circuit Court of Appeals, and the United States Supreme Court. Further, Mr. Day has handled Personal Injury cases involving death and serious personal injury. He was formerly a Prosecutor with both the Broward and Collier County State Attorney's Office before going into private practice. Mr. Day has handled many serious auto crash cases as a Prosecutor, Criminal Defense Lawyer, and Personal Injury Lawyer. He is a member of the Florida Bar and the Florida Bar Criminal Law Section, the National Association of Criminal Defense Lawyers, the Florida Association of Criminal Defense Lawyers, and the Collier County Criminal Defense Lawyers Association. He holds a D.U.I. Breath Test Operator Certification. He is a "AV" rated Preeminent Lawyer a ranking given by peer review, he is rated one of Southwest Florida's Top Lawyers selected by Gulfshore Life and has been ranked as among the best lawyers by the Naples Daily News. He is a founding member of the National DUI College at Harvard University. Mr. Day has lectured and authored throughout Florida and the United States on the subject of D.U.I. cases and Filed Sobriety Tests. He was one of the first attorney's in the State to exclude the use of Field Sobriety Tests in D.U.I. cases. As a Prosecutor and Defense Attorney Mr. Day has handled over 3500 D.U.I. cases. Mr. Day was successful in arguing Florida's Stand Your Ground Self Defense Statute in numerous homicide cases. He has appeared on national television shows and been cited in numerous newspapers and periodicals on the issue of Florida's Stand Your Ground Statute. Mr. Day has an extensive knowledge of firearms and the complex Federal and State Statutes that regulate their use and ownership. He lectures in many forums on current firearms laws and has been successful in major complex criminal defense cases involving the use, sales, and distribution of firearms. Mr. Day has been representing Local and State Law Enforcement Officers in alleged acts of misconduct for over 20 years. This work includes everything from Internal Affair cases to Law Enforcement Officers accused of serious felony crimes. He has obtained many acquittals in these cases in Federal and State Courts.